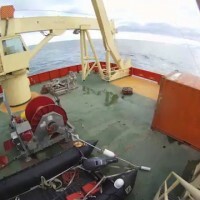 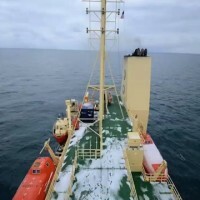 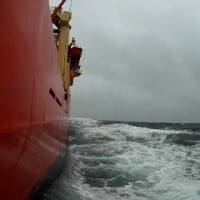 Follow the CTD over the side of the Palmer and into the Ross Sea on a short cast. 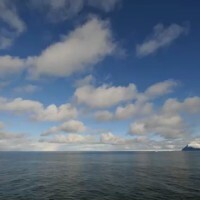 Look for Niskin bottles closing at 24 and 32 seconds in the video. 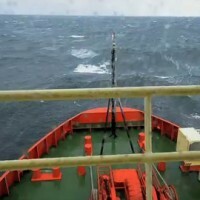 Large waves wash along the starboard (right) side of the ship during a storm. 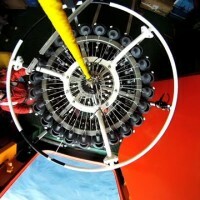 See exactly what the glider sees during this video montage from a glider test dive. 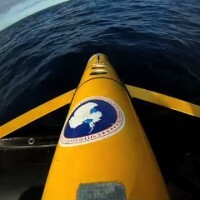 In the first part of the video, the glider is launched from the zodiac, then it travels to a depth of three meters, and finally surfaces. 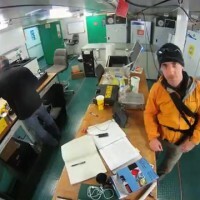 As the glider prepares to surface you can hear the sound of the pump changing the buoyancy. 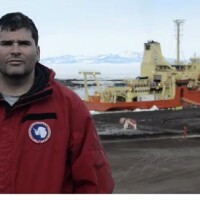 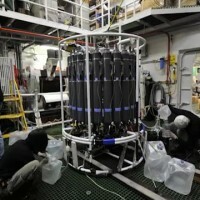 The science team samples Ross Sea water from the Niskin bottles.